My gender shows up at school on my records, in the computer, on my schedule, on exams, and so on, and outs me to my peers. I try to hide my schedule from other students when they ask to see it. This is not something I chose. This is not something my parents tried to coach me into; we didn’t even know what it was. This is not something I did because I thought it would be cool or fun. This is how I was born, and I struggled with it from a very young age… really, as long as I can remember. I never liked dolls, dresses or anything feminine. I gravitated to the masculine cloths, toys and things I liked. But more than that, I didn’t feel right in my own body. I thought, “Why do I have to be a girl, why can’t I be a guy.” I wanted that, but I didn’t know what it was, or how to express it. I thought I was alone, and the only one who felt that way. I kept those feelings to myself for years, and thought I was crazy. Before my transition, I had struggled in school with my grades. I shut myself off and didn’t want to socialize or be around people. I spent a lot of time alone in my room. I also struggled with depression and thoughts of suicide. After I began to transition, I felt happier and content with life. I enjoy socializing, and meeting new people. I have a lot of friends now. My grades are much better; in fact, I have been on the high honor role every semester since I began living as a boy. I love hanging out with my family and doing activities together. I will soon get a driver’s license, and it will have my gender on it too. I don’t want the wrong gender on it, and I feel like it is an invasion of my privacy. It will out me every time I have to show it, which will expose me to possible discrimination. For good reason, there are a lot of transgender people who have a hard time speaking up. I am willing to put myself out there, even though it puts me at greater risk and exposes me to hate, because I want to help make things better for others like me. I believe a bill to prevent transgender people from validating their gender on legal documents is very hurtful, and does little to serve anyone else. I would like to see transgender people like me be able to put our true gender on our birth certificates and other legal documents. I hope there is more love and support for all types of people in the future. 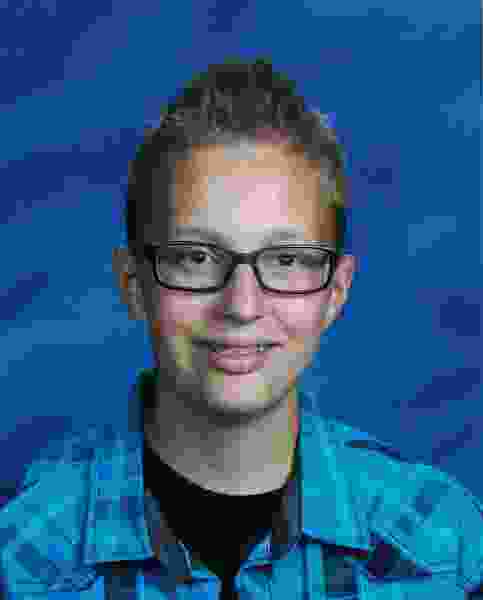 Dex Rumsey is a Northern Utah teen who’s interested in activism and helping the transgender community.